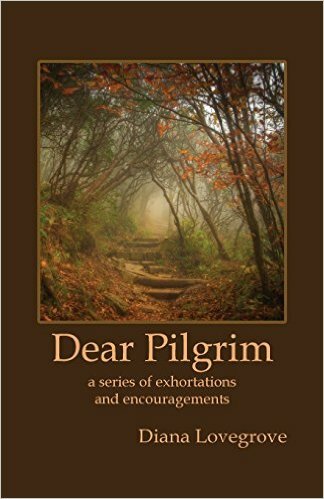 I am so very happy to introduce you to a wonderful devotional book that is clearly steeped in the Scriptures: Dear Pilgrim by my dear friend Diana Lovegrove. So, dear friends, grab a cup of tea and enjoy this interview with my Diana Lovegrove. B-Why this devotional: Dear Pligrim: A Series of Exhortations and Encouragements? Diana -First of all, I want to thank you, Becky, for inviting me to this interview and allowing me to visit your beautiful blog. May the Lord richly bless you! Pilgrim began with a visit to the mountains. We so easily focus downwards, on what is around us, our circumstances, and our eyes get drawn down. But the Lord showed me the importance of us having a heavenly perspective, of making an ascent or Aliyah – going up! As I started reading in the Word of those occasions when our eyes are lifted up, it became clear that the Lord brings revelation at those times. And it is through revelation that our God transforms our lives. As I continued writing and following themes throughout the Scriptures, I discovered that no matter where I began, or what topic I was looking at, I was always led to Christ, to look up to Him, to feed from Him. So every chapter is, in essence, an ascent. And from there, from that place on the mountain peaks, we gain the strength and perspective to continue our journey in grace and righteousness, even if that journey takes us to the lowest valleys. For He tells us that “the land you are crossing the Jordan to take possession of is a land of mountains and valleys that drinks rain from heaven” (Deuteronomy 11:11). If we’ve been on the mountain top with Him, we can go with strength into the valley below, knowing that the valley also drinks in the rain from heaven. As we grow in our understanding of the depths of the riches of our inheritance in Him, the light on our path becomes brighter and the honey in His Word becomes sweeter. Through Pilgrim I wanted to encourage others to see the riches that are ours in Christ, riches that we can enjoy today in our walk with Him, being made whole in Him, and to exclaim and delight in those truths together! B- When and how did your pilgrimage begin? Diana -I was brought up in a church-going family and regularly attended an Anglican church. Lots of ritual, and lots of good behavior. But I never understood that Jesus had died on the cross for my sins. My dad was killed in a car crash when I was 13 years old, and we drifted away from church after that. I never stopped believing in God, but I lost my way in finding Him. I became interested in New Age thinking, and even encouraged my mum to take up Transcendental Meditation. I was 20 when the Lord finally opened my eyes to the beauty of the gospel message. I’d been away at university for a term, and when I returned home for Christmas, I was struck by the difference I saw in my mum’s behavior. Whilst I’d been away, she had become a Christian. The change I saw in her life drew me to find out more about Jesus, and when a friend of hers explained the gospel to me, I repented of my sins and believed in Him. B -What has been the hardest thing to learn in your pilgrimage? Diana -To die. I spent the first 18 years of my Christian walk going round and round in a circle of despair. It was the most frustrating experience, and I had severe bouts of depression. I was filled with guilt and condemnation. I knew that God loved me, and had forgiven me, yet I couldn’t seem to walk in that truth, and I kept trying to earn His love for me and failing miserably. Looking back, I can see I hadn’t died. The cross had not slain me. I had crossed the Red Sea and had escaped from Egypt, but I hadn’t yet crossed the Jordan to enter into a land flowing with milk and honey, the place of inheritance. I was going round and round in circles in the wilderness. Praise God, He used our time of malnourishment in a seeker-sensitive church to draw me to search for the gospel message in all its fullness, and when my eyes were finally lifted up to behold the Lord in all of His glory, I died – and I have to continue to die every day. There is a passage in Luke 13:10-13 which tells of a woman crippled by a spirit and bent over for 18 years. Jesus came and touched her, and immediately she straightened up and praised God. This could be my own testimony, including the length of time she was crippled and bent over! I can’t wait to meet this woman in glory one day! B -What has been the most joyful? Diana -To walk in assurance of His love and forgiveness, whatever the circumstances, whatever the difficulties, that is a place of deep joy, blessing and of peace. To be at peace with God, the Creator of the Universe, the Holy, Holy, Holy God….to be reconciled to Him, all because of what His Son accomplished for us, to be free of condemnation – there is no better state. The devil will seek to kill, to destroy, to rob us of that joy – and admittedly there are times when I am shaken, and despair threatens to creep back in. But the moment I lift my eyes, the very moment – nothing can take away the assurance He brings through His Spirit. And then to discover that the inheritance He has for us is a land flowing with milk and honey….what provision He has made for us…I have tried to capture that joy in Pilgrim as He has revealed some of that abundance to me. B -What has sustained you through it? Diana -He has! In my darkest moments, I was intent on self-destructing. I had pushed God away, and I had completely isolated myself from those around me. It makes me tremble now to recall how cold I was towards those who loved me. Yet He never let go of me. More than that, He pursued me. He sought me out and He rescued me from the prison of my despair. And He continues to sustain me. Time and again, He reveals to me the weakness of my flesh – which makes me more desperate to cling to Him. He provides everything I need to keep on keeping on. B -How is it important to have faithful companions in our pilgrimage? Diana -I don’t believe God ever intended for us to pilgrimage alone, and yet so many of us have this mistaken view that all that matters is our own individual walk with the Lord. That was my own mindset. But it is not true – God’s purposes are much greater than that! I have been so blessed by my husband, Peter. His love of the Lord, and his faithful love to me over the years has never wavered. He has been such a firm rock and support to me. And then the Lord has brought along friends in the Lord to encourage. I must make mention of Liz, who wrote one of the chapters in Pilgrim. The Lord brought her into my life when I was still trying to find my way out of despair, and He used her faith-filled words of counsel to encourage me to look up, to reach out for a touch from Him. When someone knows their God, has spent time in His presence because of the revelation He has given them of Himself, it affects the way they see things, their language, everything. There is an aroma of Christ about them. People have testified as to how they have found Dear Pilgrim to be warm and encouraging – this is because it reflects the warmth and encouragement that my own ears have heard from those around me who have exhorted and encouraged and comforted me in the Lord. And then the local church – truly, we have been so blessed as a family through our church, Gateway Christian Fellowship, in Yateley. This small fellowship came together almost 4 years ago, and we have grown so much in our walk and understanding of the Lord since then. Our dear pastor, Tom Chacko, and his wife, Dorothy, pour themselves out for us as a fellowship. Tom’s heart, reflecting the heart of the Lord, is that we will learn to walk together as a community of believers, being involved in one another’s lives during the week and not just on Sunday. We are gradually learning this, and we are beginning to taste the firstfruits of the richness this brings to us as a fellowship. B -I know you love to sing, to play the guitar, and to compose music (and poetry!) for our God. What role has music had in your pilgrimage? Diana -I began writing songs when I was in despair, and whenever I sang those angst-filled songs, I would remind myself of my misery. It is such a blessing instead to be able to write songs of praise to the Lord that we sing in our fellowship! Songs that take our focus away from ourselves and onto Him! As a fellowship we were recently blessed when one lady wrote a beautiful poem called “All to His glory” that I was able to set to music – and this is inspiring others in our fellowship to write – the children are now writing their own songs too! B. Where are you heading now in your pilgrimage? Diana -We are currently in a season as a family where I am working part time as an accountant to enable my husband to retrain from teaching into accountancy, and also devote time to serving the local fellowship through teaching the Word and the other duties he has as a deacon. We also have some important decisions to make regarding the schooling of our son, Harry, as it is our hope that Peter will begin homeschooling Harry next year. We are also excited to see where the Lord takes us as a church fellowship. Whatever we do, wherever the Lord leads us, we need to spend time with Him on the mountains so that He can supply us with all we need to walk in the good works He has prepared in advance for us. Thank you, dear Diana, for taking the time to share with us more about you, your pilgrimage, and your book. Now let me share with you about the giveaway of this beautiful devotional book! To enter, please leave a comment here, and if you feel inclined to do so, share this interview on social media for extra chances to win. I will announce a winner next Saturday, December 19 (the draw will happen Friday, December 18 at 7:00 PM CT). If you are like me, drawn to this book by its title, and know that you have to move out from your comfort zone without ignoring the fact that sin is the cause of the needs in this world as well as of the lack of help we offer to those in need, then I would, sadly to say, not recommend you this book. I recommend you instead Aaron Armstrong’s book, Awaiting a Savior: A Christian Response to Poverty. If you just want to “help others to find yourself” (a phrase the author uses), to find meaning and fulfillment in your life, then this book is for you. A professing Evangelical woman today will try to say that she is not a Feminist, that she only believes that in marriage (and Church) there should be no hierarchies, that in Christ we all are one and that we, wives, are not longer called to submit to our own husbands, instead we are both (husband and wife) called to submit to one another. Is this even possible? 1. It helps us understand the origins, the philosophical and theological views of Feminism and how it found its way into the Church. 2. It also help us understand how it is impossible to be a Feminist and a Christian. You can’t embrace both. Feminism always leads to a “new kind” of theology which has its own hermeneutic methods to interpret the Scriptures, so that it would be able to “support” its own beliefs. 3. It helps us understand that the so called “gender-debate” (egalitarianism vs complementarism), goes beyond the issues like “who takes the final decisions at home.” Feminism leads, little by little, to a complete non-Biblical view of God, and the world. Kassian’s book is well written, clear, and engaging. It is also well researched and it includes a great number of references. Mary Kassian’s approach is objective, and does not deal with the subject as if she were in a “witch hunt,” she presents a professional historical account, and always from a solid Biblical standpoint. 1. Naming Self (here she explains how women decided to name themselves, instead of letting God name them, define who they are). 2. Naming the World (two of the things she deals about in this stage are: Women-centered Analysis of Theology and Women’s Studies in colleges). 3. Naming God (the feminization of God, and women and their place in the Church are discussed here). In the second part of her book, Kassian deals with the advent of “biblical feminism,” the hermeneutic methods they use to sustain their “egalitarian” position, the “what-to-do-know” kind of questions, and what will happen next if we refuse to see the danger feminism represents and we neglect to stand firm against it. When women start re-naming God and try to de-sexualize Him, what they end up doing, according to the author’s analysis, is they depersonalized God, they attack God’s character, they deny the Trinitarian relationship, they obscure the person and work of Christ, they obscure humanity’s relationship to God, and their own personal identity (p.168-173). If you read this book carefully, you will clearly see the philosophical progression of feminism. What now? 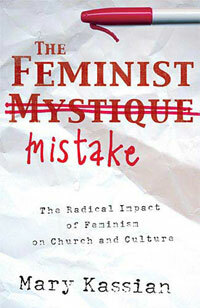 Why should you read this book if you are not a “biblical feminist” (or an egalitarian)? I assure you, sisters, that the rise of this movement is coming more rapidly and with more fury than we can even start to imagine. We need to be ready to discern it and be well grounded in the Word of God to be able to teach our daughters (and sons) the dangers of this lie. Let us press hard and embrace our precious and wonderful calling which is good, because God said so. Let us not be afraid, sisters, to be named by God, to embrace the beauty of our place in His story. Early this summer I came across a quote by Anne Lamott that disturbed me greatly: “If you want to make God laugh tell her your problems.” And one of the many reasons it really disturbed me was that it was quoted by a professing Reformed Evangelical Christian. * At that time, I had not read any of Lamott’s books or articles, so I decided to do some research and one of the first things I found out is that Lamott, a very good writer indeed, was highly popular among many Evangelical Christians who admired her not only because of her writing advices, but also because of her theology and approach to life, which sadly to say, is very far from the Biblical Historical Christianity. Albert Mohler had also seen this problem before, and in 2006 he even wrote an article exposing Lamott’s support of euthanasia and abortion. Bird by Bird: Some Instructions on Writing and Life, is the first book I read and is the book from where the quote that started all this happens to be (it appears more than once). It is a book with some excellent advices on writing, on how to develop your characters, on how to start a piece, and on how to keep a good plot among other things. But to read this book trying to find those great writing advices without getting pretty dirty in the filth is not an easy thing. 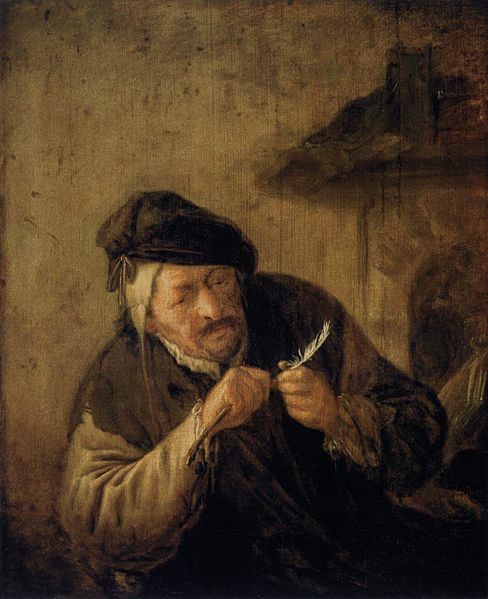 Keep in mind the title of the book: Bird by Bird: Some Instructions on Writing and Living. Did you get that? That is where the danger is. Lamott purposely writes to teach us about writing and living. She wants the reader to embrace her approach to life, her worldview. It is not as simple as some would say, “C’mon, just take the good writing advice she gives and spit the rest.” You cannot do that easily when the writing instructions are deeply interwoven with her worldview and theology; with her instructions on living this life. So let’s take a closer look at her worldview, at her life instructions, at her faith. “I began to cry and left over before he benediction, and I raced home and felt the little cat running along at my heels… and then I hung my head and said, “F*** it: I quit.” I took a long deep breath and said out loud, “All right. You can come in. One of Lamott’s main advisors and from whom she gets her most of her theology (she mentions him several times in both books) is Tom, a friend whom she describes as a “slightly overweight alcoholic,” who also happens to be a “gay Jesuit priest.” In Traveling Mercies, she describes him as “an extremely funny Jesuit and sober alcoholic, who drank like a rat for years and smoked a little non-habit-forming marijuana on a daily basis. He also did amyl nitrate, although he adds that this was just to get to know people.” Yes, and I am sure some would say, “But, Becky haven’t you forgotten that Jesus was friend with the sinners? He sat and ate with them? What is the problem with you here?” Yes, yes. But there is a big difference here, Jesus did not learn from the sinners he sat with, they learned from Him. He was not influenced by them, He influenced them. He did not get his theology from them. Jesus did not open a support group for gays and prostitutes who were feeling rejected by the rest (I am getting a little bit off track here, I know. Sorry, but I just couldn’t help it…). There are through out these books many, many, many more examples of the profanity and crudity of the language Lamott uses, of the way she lives a life far from what the Scriptures teach. How can we learn from her to live a godly life? If she follows a god of her own making, how can we quote her in theological issues? I still don’t get it, and it burdens me to see that some brothers and sisters do. *I am assuming that I won’t have to explain to my readers the reason why theologically, Bible in hand, this statement is a lie that goes against the way God has decided to call and manifest himself to us. If you still want to read more about this, I strongly recommend Douglas Wilson’s book, Father Hunger. In the first chapters he deals in a brilliant way with the theology of God as a Father. ¡Hola! Greetings from South Carolina! One of my daughters and I are visiting our dear friends in Greenville -a gorgeous city, by the way-, and let me tell you that waking up to a hot cup of French pressed coffee and many good conversations in the porch with my good friend have been the reason why this blog has been put on hold these past days. So today, while my friend is in the gym and I am still in my pj’s -and not feeling guilty at all-, I am taking the time to put together my second post on the book recommendations I promised to share with you this summer (the first part -on fiction books- can be found here). The two books I would like to recommend to you today are books that help us live the gospel in our day to day life. It is my hope that you find these short reviews helpful. First, the kind of devotionals that I would strongly recommend to you above any other are expository commentaries -those that walk you verse by verse through a bible book-. I have found that reading a book of the Bible slowly, praying over it, studying it verse by verse is a wonderful and extremely helpful way to grow in the Word of God. R.C. Sproul wrote a series of expositional commentaries that have been very helpful to me. 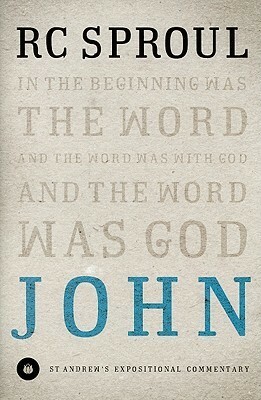 This summer I am delighting in the gospel of John and Sproul’s commentary has been, once again, a huge blessing to me. We cannot live the gospel if we don’t know and understand the gospel. That is why it is very important that you may seriously consider putting aside some of the “soul-touching”, tea-friendly books, and start diving deeper into the Word of God. Commentaries like this one will certainly help you as you do so, and the benefits will be beyond what you expect. 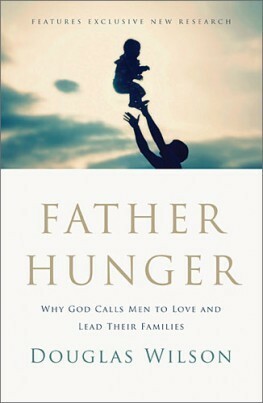 Second, Douglas Wilson’s newest book, Father Hunger, has been a great and very important read for me this summer. Wilson is a wonderful author and teacher that word by word, sentence by sentence makes his points clear, always in a straight and firm way, but never lacking to point to the grace of the gospel. Why is it important, very important, that all my female friends read this book about fatherhood? Well, I have sadly learned in the past few months that feminism and egalitarianism are finding their way into the church in a very subtle, seductive and effective way, capturing the hearts and minds of many of our brothers and sisters. In his new book, Douglas Wilson explains in a clear and detailed way the theology of fatherhood, and in doing so, he explains why egalitarianism and feminism -and the lack of masculinity thereof- are not conformed to the biblical frame that God has established. Please, get this book and read it. Pass it along. Have your sons and daughters read it. We need men willing to do everything the Lord has appointed them to do in order to satisfy the father hunger in which we live today. Desiring God posted 20 quotes from this book that will certainly give you a very good overview of it (you can read them here). You can also go to Canon Wired and listen to some of the lectures Douglas Wilson has given on this topic. My friend is back from the gym, and we already drank two cups of coffee. Now I can almost hear the peppered bacon calling my name. Blessings to you all as you enjoy your summer!